St. Louis is an interesting mix of old world charm and modern life in this Midwestern city. You will have many options from relaxing riverboat rides to sightseeing and historical sites. St Louis has so much to offer that you will not run out of things to do or see before your trip ends. 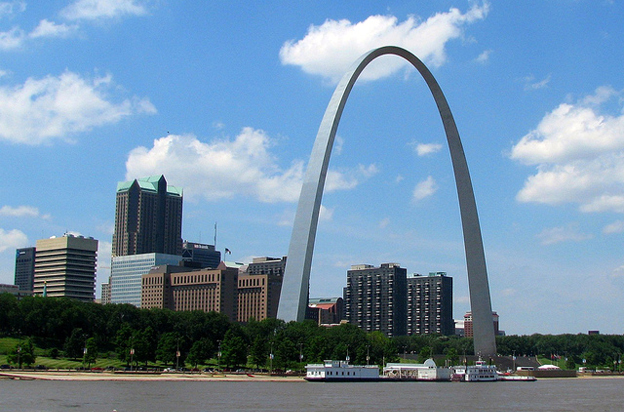 The Gateway Arch is probably the most identifiable site in St. Louis. Our nation’s largest monument at 630 feet attracts 4 million visitors every year. There is a tram to the top and the Museum of Westward Expansion as well as shopping. Forest park is one of the largest urban parks in the United States at 1371 acres. Take a stroll through the Art Museum or the History Museum. Visit the animals at the zoo or just take a walk on the many paths. Many just pack a picnic and relax by one of the lakes for the afternoon. 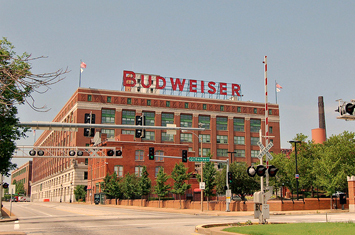 Take a tour of the Anheuser-Busch Brewery. Beer lovers will enjoy this tour! Check out the historic Brew House, the Budweiser Clydesdale Stable or the packaging plant. Sample some of their beers in the Hospitality Room if you are over 21, that is! Listen to some live Blues at one of the many, and I mean many, blues clubs or restaurants in the Soulard neighborhood. Check out the live blues calendar at www.stlblues.net for more information on BB’s Jazz, Blues and Soups; The Wolf Public House or the Highlands Brewing Co. to name a few. Go wine tasting at the Stone Hill Winery and restaurant. Enjoy award-winning wines, spectacular views of the Missouri River Valley, live music spring through fall, and tours of the majestic grounds and historic cellars. At Missouri’s oldest winery you can also tour underground cellars. 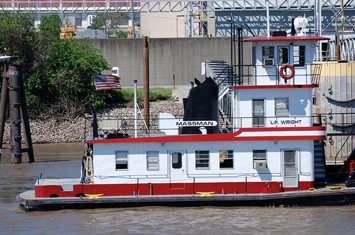 Glide along the Mississippi River on one of the riverboats, the Tom Sawyer or the Becky Thatcher. The captain will narrate the tour and point out attractions along the way. Take a romantic dinner cruise just the two of you. The day cruise is a little cheaper than the dinner cruise but both are worth it. Enjoy a massage in one of the luxurious couple’s suites at the Spa at the Four Seasons St. Louis. This urban oasis has relaxation lounges, steam rooms and whirlpools. Snuggle into your plush robe and take a nap. You’ve earned it with all the beer & wine tasting and sightseeing! The official visitor’s bureau for St. Louis at www.explorestlouis.com has a top 25 list of things to do and see in St. Louis that is a pretty good starting point. Whether your thing is blues or beer, parks and museums or historical monuments, St Louis has plenty to do and see.